If there’s one thing about Degreed, it’s that we hit the road. A lot. Trade shows, conferences… you name it, we’ve got a booth there. What we needed was a way to stand out at these events. Our solution? A loud, fast-paced, high-energy Degreed crash course, chock-full of all the juicy details you need to know to keep your business moving forward. It’s not something you see every day at an L&D conference. You can always head over to our Events page to get all the info on where we’ll be and what we’ll be doing throughout the year. 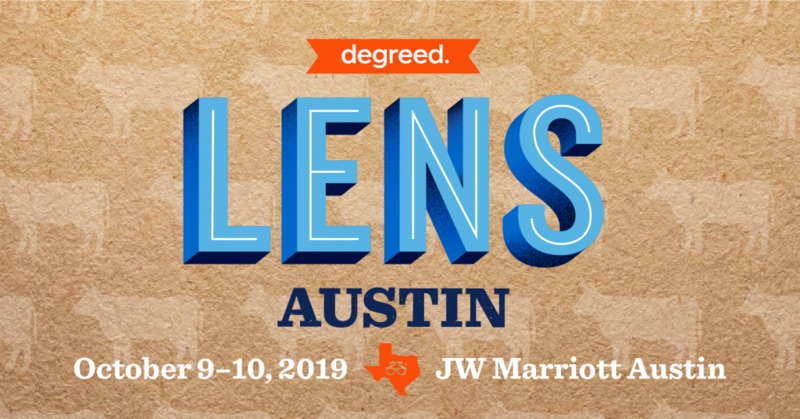 And remember to save the date for our annual barnburner: Degreed LENS 2019: NOTHING ARTIFICIAL, 100% INTELLIGENT in Austin, TX, October 9-10. Register today. They say everything’s bigger in Texas and LENS will be no exception. It’ll be two days of innovation — and Texas-style brisket — packed with industry experts from leading companies. We’ll dig deep into topics such as AI, data science, and skill measurement and you’ll walk away with all the tactics, strategy, and info you need to make sure you’re always drinking upstream from the herd.